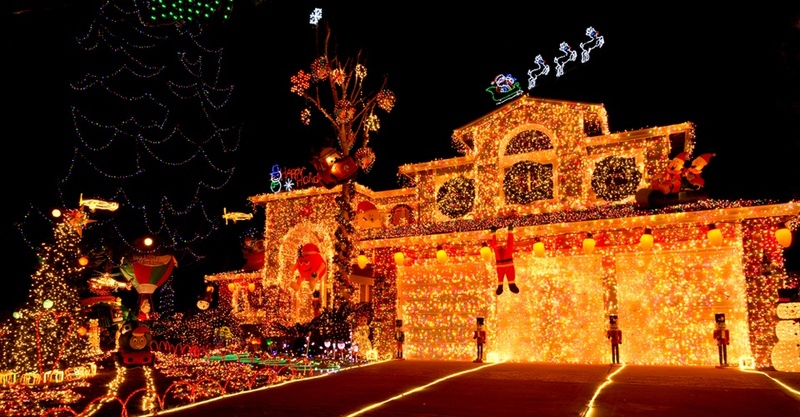 For many families, holiday lights in and around the house are a beloved part of the season. If you’re in the midst of holiday decorating, please keep some electrical safety best practices in mind. The Electrical Safety Foundation International (ESFI) offers a number of resources and suggestions for selecting, installing, and maintaining your lighted decorations. Always buy electrical equipment that displays a label indicating it has undergone independent testing by a nationally recognized testing laboratory such as Underwriters Laboratories (UL), Intertek (ETL), or Canadian Standards Association (CSA). Be sure to buy decorations according to your intended use outdoors or indoors. Consider Light-Emitting Diode (LED) over incandescent holiday lights: LED lights last up to 20 times longer than traditional incandescent lights, generate less heat, and are made with epoxy lenses, not glass and are much more durable. LEDs are initially more expensive, but will recover some of the cost through energy savings. When using an extension cord, select a cord that is long enough to meet your needs. Never attempt to extend the length of an extension cord by connecting it with another extension cord. Never nail or staple cords to the wall or baseboard which can damage the wire insulation. Never remove the ground pin (the third prong) to make a three-prong plug fit a two-prong outlet. Do not run extension cords through walls or ceilings. This may cause the cord to overheat, creating a fire hazard. Insert plugs fully so that no part of the prongs is exposed when the extension cord is in use. Holiday decorations are meant for temporary use. Leaving your decorations up for extended periods leaves wires unnecessarily exposed to the elements, which can decrease the product’s shelf life and increase the risk of electrical hazards. Safety Pros: Give your employees the gift of safety by scheduling Summit’s “Holiday Safety” course this month! This entertaining program follows four co-workers as they prepare for their holiday vacations and shows what happens when safe work practices aren’t followed off the job. To see all our Summit Training Source courses, click the button below.